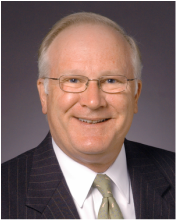 Mr. Almond currently serves as Executive Director of the Charlotte Regional Collaborative for a Global Economy, a consortium of 12 NC/SC community colleges promoting regional engagement in global commerce. He is also CEO of Antaeus Consulting, LLC, an international business and economic development consulting firm active in Europe and the United States. From 1999 to 2005, Mr. Almond was President and CEO of the Charlotte Regional Partnership, a non-profit regional North Carolina/South Carolina economic development organization. During this time Mr. Almond also served as member and chairman of the board of directors of the Charlotte Branch of the Federal Reserve Bank of Richmond. He has also served as Senior Executive in Residence and member of the German Senior Advisory Board of the Center for Creative Leadership, a globally-recognized research institute and provider of leadership solutions worldwide, and as a member of the Senior Advisory Board, Deutsche Bank Private Wealth Management (German/American Business) in New York. He is also a certified commercial arbitration judge for the American Arbitration Association. Mr. Almond is a member of the Council on Foreign Relations (New York/Washington) and from 2007 to 2012 served as a member of the board of directors of the Atlantic Council of the United States in Washington, D.C. Mr. Almond is former director of the Warburg Chapter of the American Council on Germany in Charlotte. He is a graduate of the University of North Carolina at Chapel Hill (Morehead Scholar, highest honors, 1971) and the UNC School of Law (Morehead Law Fellow, honors, 1975), and was a Fulbright Fellow in political science at the University of Mannheim, Germany (1973).